It’s that time of year in my garden where one moment I have nice small Zucchinis growing and the next moment I look I have huge marrows. I am always trying to find new ways to use up these monsters and come up with this recipe last night. Miso is a great product as it is fermented and adds good pro- biotic bacteria to our diets. It has been used in traditional Japanese cooking for hundreds of years. In a bowl mix water, miso, honey and sesame oil until well combined. Slice zucchinis into rounds about half a cm thick. Place on a lined baking tray and spread with miso mix. 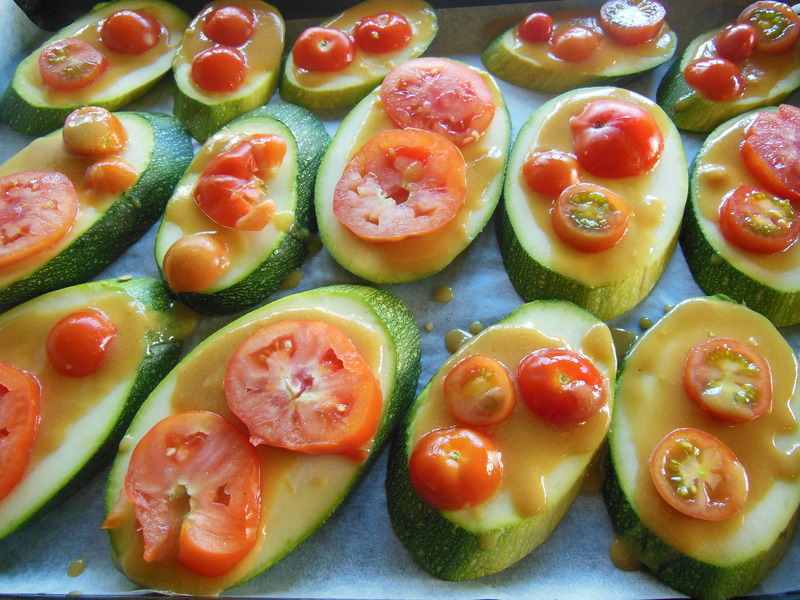 Slice cherry tomatoes into rounds and place a couple on each piece of zucchini. 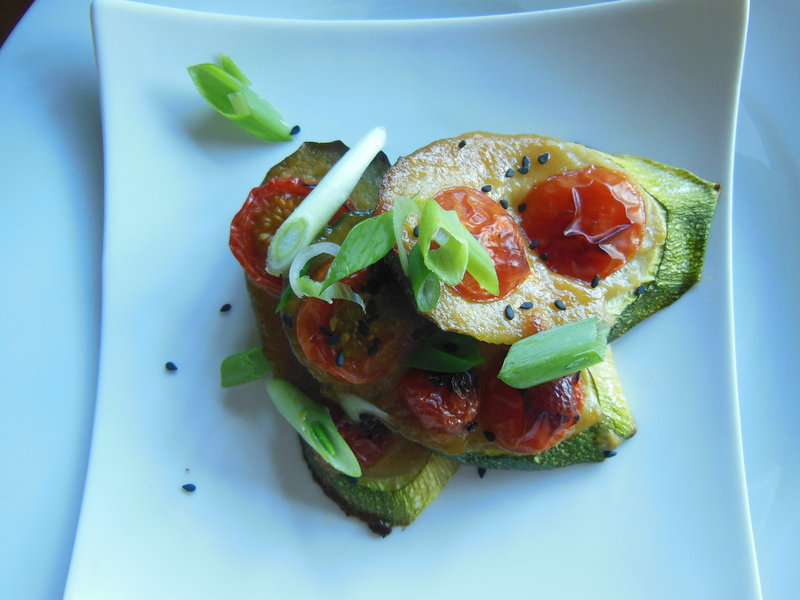 Bake for 25 minutes, remove when soft and serve topped with sliced spring onion and sesame seeds. I’ve heard about this Nelson miso company before. I’ll have to find it here somewhere.